On May 20th, 1927, Charles Lindbergh left Roosevelt Field in New York in his custom made, soon to be famous plane The Spirit of St. Louis . 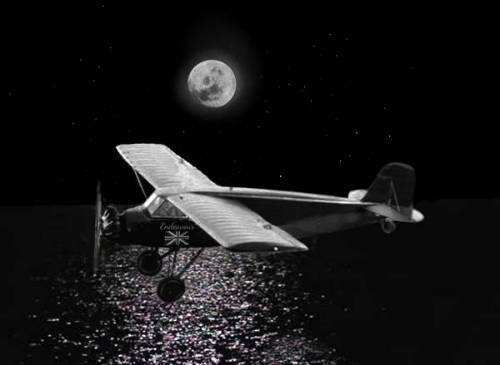 He made the crossing in 33.5 hours and became the first man to complete a solo, nonstop flight from New York to a European landmass. He became the most famous man in the world. He also earned $25,000 in prize money. The race was on to see who could make the trip from East to West. 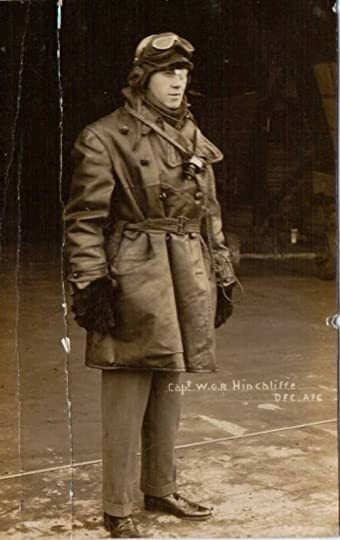 Captain Raymond Hinchliffe might have been an unlikely candidate to make the trip, but he was one of the most celebrated pilots of his era. During the Great War, he was shot down. He lost an eye in the resulting crash, and one leg would never be right again, but he was undaunted in his abilities to fly as well as any man. After the war, it wasn’t easy for him to find work as a commercial pilot, and frankly, that type of work was unfulfilling. He felt that he had one more great endeavor in him, and no one had beat him to it yet. He wanted to make that flight from East to West across the Atlantic, and the 10,000 pounds in prize money would give him and his wife Millie some security for the future. 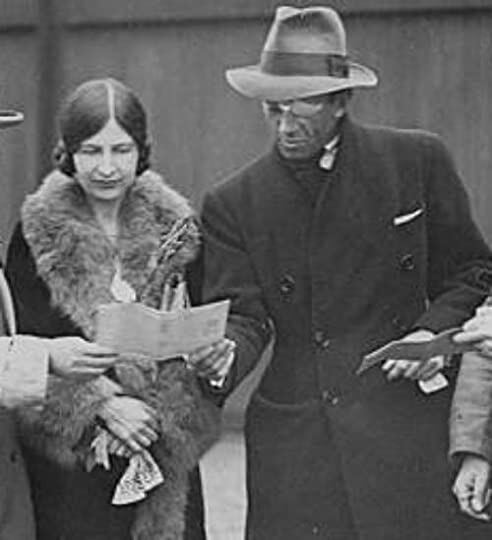 Elsie Mackay was a rich girl, not content to just be a socialite. She was an actress, which would be more than enough attention for most other young ladies, but for her, she too wanted to define herself by a bold action. 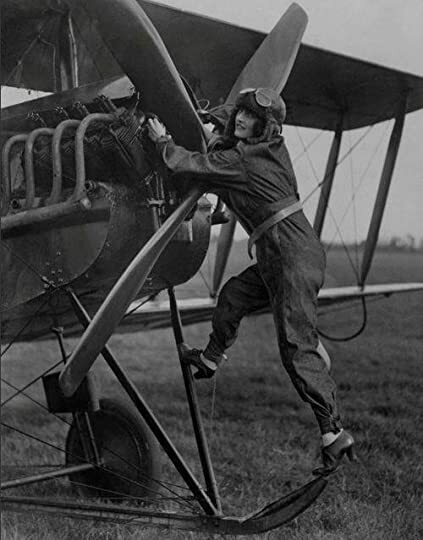 There were few pilots in the 1920s, but there were really only a handful of female pilots. Some might say she was recklessly trying to impress her father, Lord Inchcape. 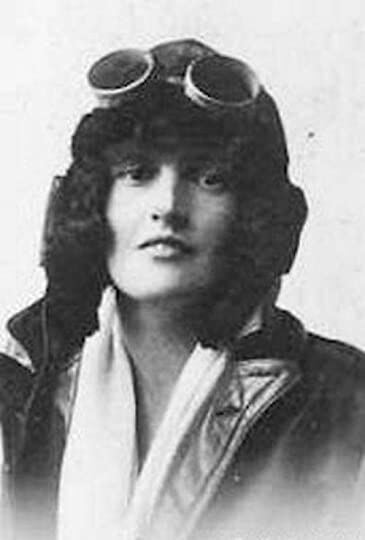 Being the first woman to cross the Atlantic was a prize well worth trying for, despite the danger. 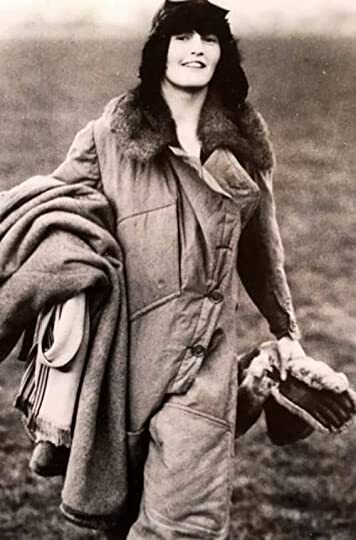 For a woman as progressive as Elsie, keeping pace with the boys was not only fun and exciting, but also essential. Captain Hinchliffe and his wife Millie. Millie Hinchliffe was the wife of Captain Hinchliffe, a concert level pianist, and an accomplished painter. She had a knack for portrait painting; sometimes she expressed so well the inner life of her subject that it could be an uncomfortable revelation for the portrait sitter. Winston Churchill noticed her particular ability to capture the auras of her subjects. As this novel progressed, her otherworldly abilities became more acute, and she began to see visions that scared her into action to attempt to warn people of impending disaster. Her most terrifying vision of all regarded the mightiest airship ever built, the Cardington R101. To know something horrifying that no one else knows is frustrating and lonely. Meanwhile, the race was on for Hinchliffe and Mackay to get their Stinson Detroiter plane modified for the trip across the Atlantic. They knew a German team was nearly ready to attempt the crossing. There were no second place medals. There could only be one first. The tension was revving up with each new chapter. This book intersects with Dennington’s other book The Airshipmen, which I have also read and reviewed. Some characters in one book show up in the other. In his first book, he tells the tale of the airship Cardington R101. A special pleasure for me is that he brings the writer and engineer Nevil Shute to life and reminds me how much I enjoy his writing. I now have planes plans to read several of Shute’s books over the coming months. Let’s return briefly to Millie so you can have some idea of the visions this poor woman was experiencing. The trick was to even interpret what she was seeing with any level of certainty. David Dennington kindly agreed to answer a few questions. 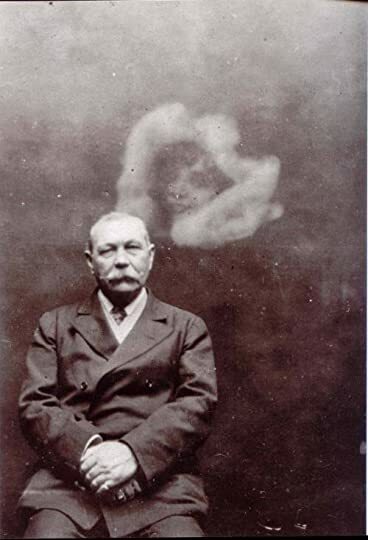 Arthur Conan Doyle spirit photo. Elsie Mackay. Picture provided by David Dennington. A posed photo of Elsie Mackay. I love the shoes! JDK: My special thanks to David Dennington for graciously agreeing to answer my questions and for providing me with several photos that I used in this review. The Ghost of Captain Hinchliffe Video.